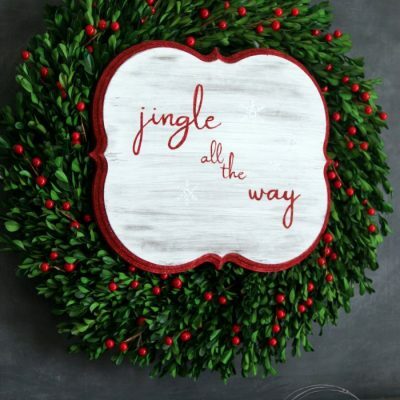 Jingle Y’all….the best southern holiday saying there is, right? 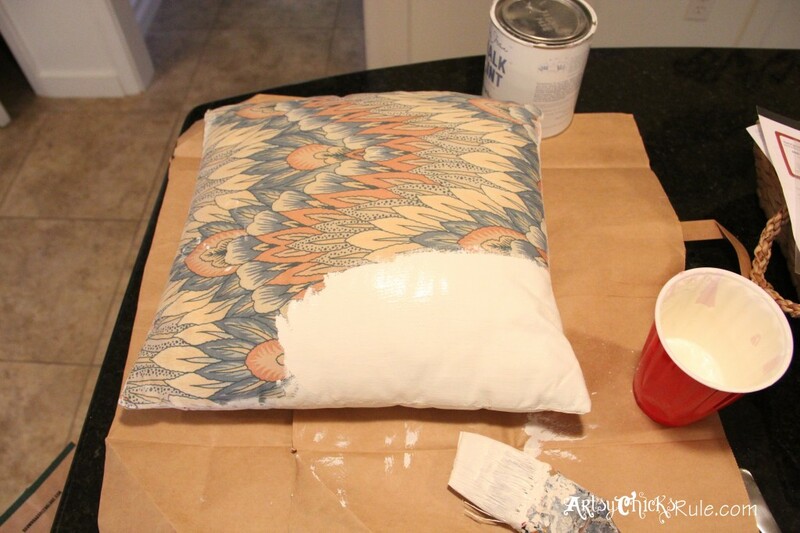 Follow along as I paint an old thrifty pillow and add this fun saying to it…with paint! 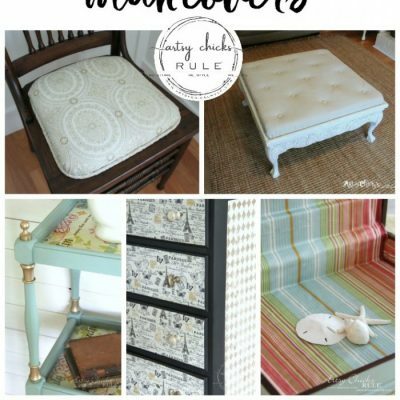 Did you know that I painted my outdoor porch pillows with Chalk Paint last Spring? Well, I did. You can see it in this post –> here. 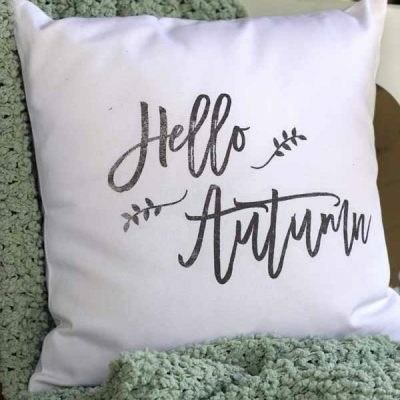 So as I was thinking about my holiday decorations for this year, it hit me….why not paint some super cheap (thrifty) pillows from the thrift store? Now, to be completely honest, there are just certain things I will not purchase from the thrift store/garage sale. That would be mainly those things that you can not WASH. Yes, that is a requirement. But pillows can be run through the wash depending on the type. The ones I found for my little makeovers were probably that type but I figured I’d be painting and then following over that with a coat of wax. That should seal them up well, right? Plus, these will be decorative pillows and not something I’ll be laying my head on anyway. I wanted to do something with a fun twist on our ever popular “y’all”. I grew up saying y’all…and my cousins from up North say “you guys”. Or try to mimic us by saying “you all”….or yuaaawwwllll (that would be Northern for y’all). It came from the thrift store…couple bucks. Pretty, huh? Perfect for painting, I say. 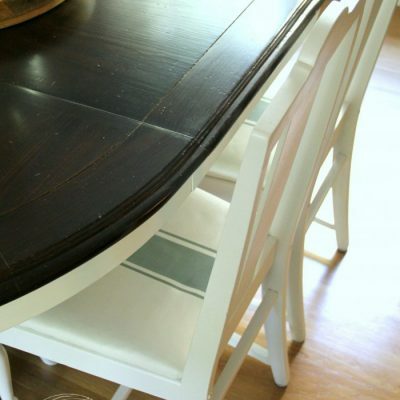 A little Old White/Pure White Chalk Paint blend (mixed with a bit of water so it will soak into the fabric well ). 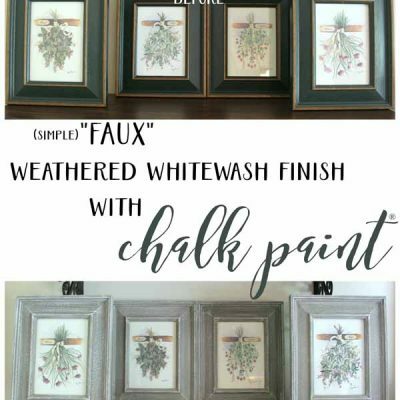 You could also use a fabric medium found at most craft stores if you don’t have Chalk Paint. I am pretty sure that would work too. I did 2 coats for full coverage. I printed it out on my computer the size that I needed for the pillow. 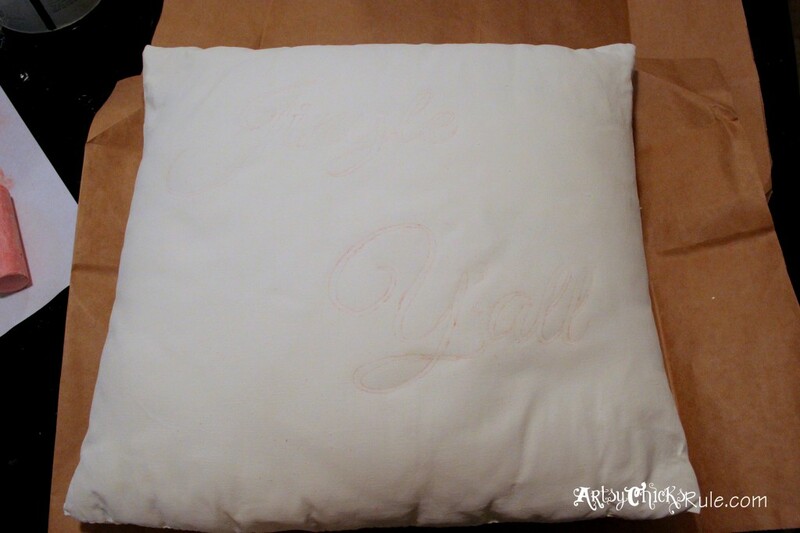 After the pillow was completely dry I transferred the graphics onto the pillow like so…..
That would be dark pink sidewalk chalk. I rubbed it all over the back of the wording. 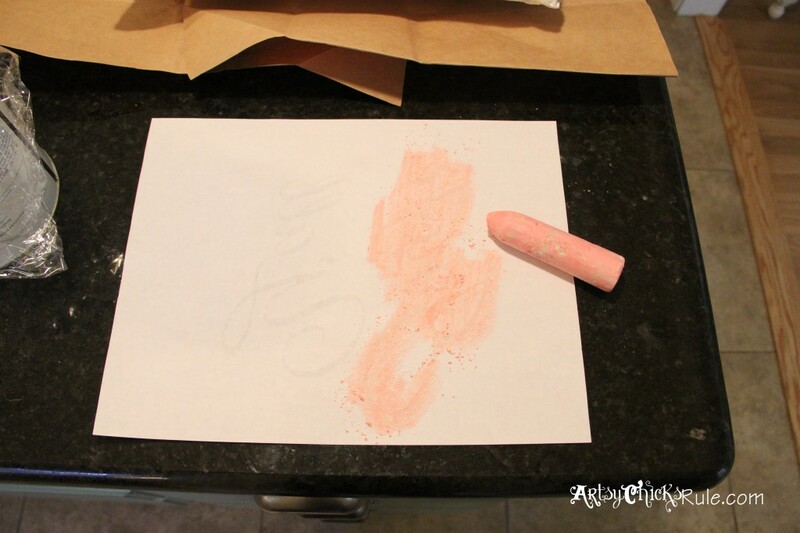 I then took a ball point pen (because it would “roll” smoothly over the lines) pressed/traced along the edge of the letters to transfer the chalk onto the painted pillow…. After that was completely dry I applied Annie Sloan Clear Wax with a soft, lint free cloth. I let it sit for a day and then “buffed” it. These come out feeling sort of leather-ish. I actually like the feel of them. They are for decorative purposes only. I cannot attest to how long they will hold up. I just know that I LOVE them (I’ll show you the other one later this week or next) and am thrilled with my super cute holiday pillows that cost me less than $5 total! 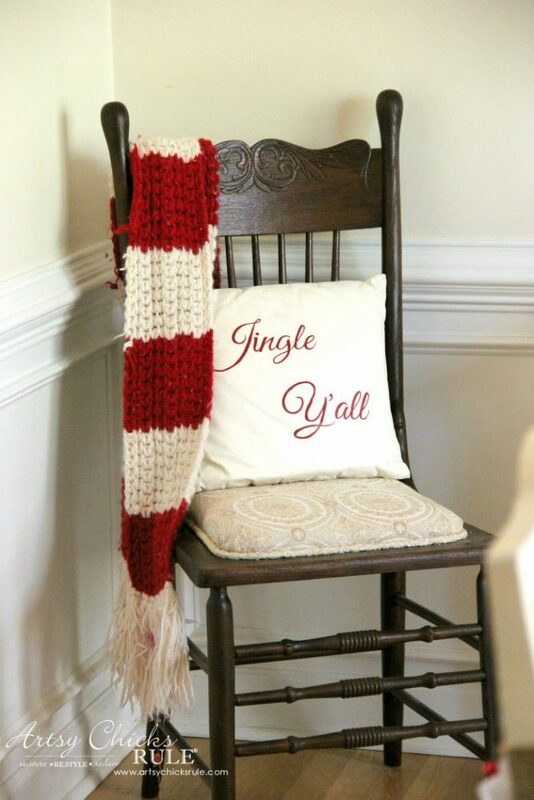 Like this Jingle Y’all Pillow?? PIN it to save it! 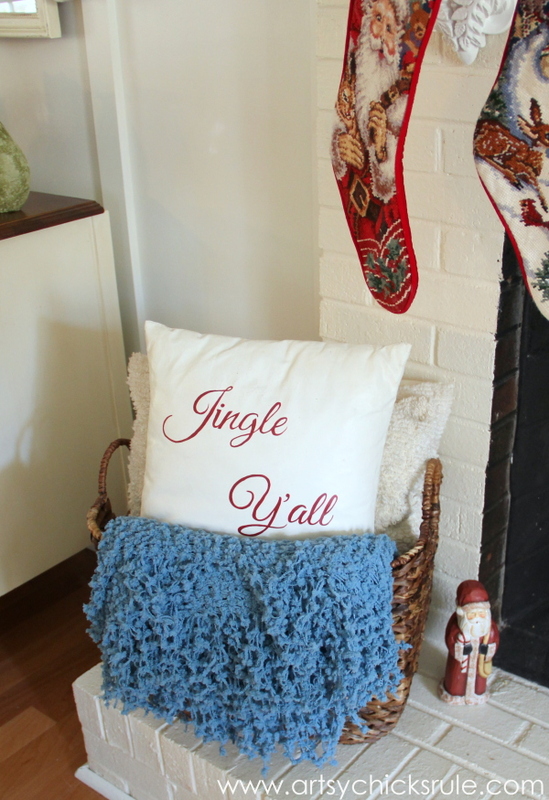 –>>Want to see this fun pillow in my holiday decor years later? 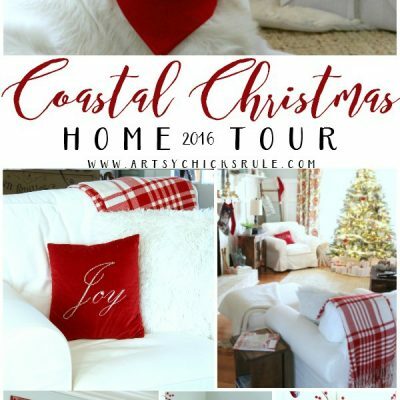 Check out this Christmas Home Tour. I hope you all have a wonderful Thanksgiving Day tomorrow surrounded by those you love. Thanks Kathy!! :) And thanks for the share too! Super cute! I’m a “y’all girl” buy my husband’s whole family is from NY and they’re “you guys” people! Funny! I’m definitely a y’all girl! 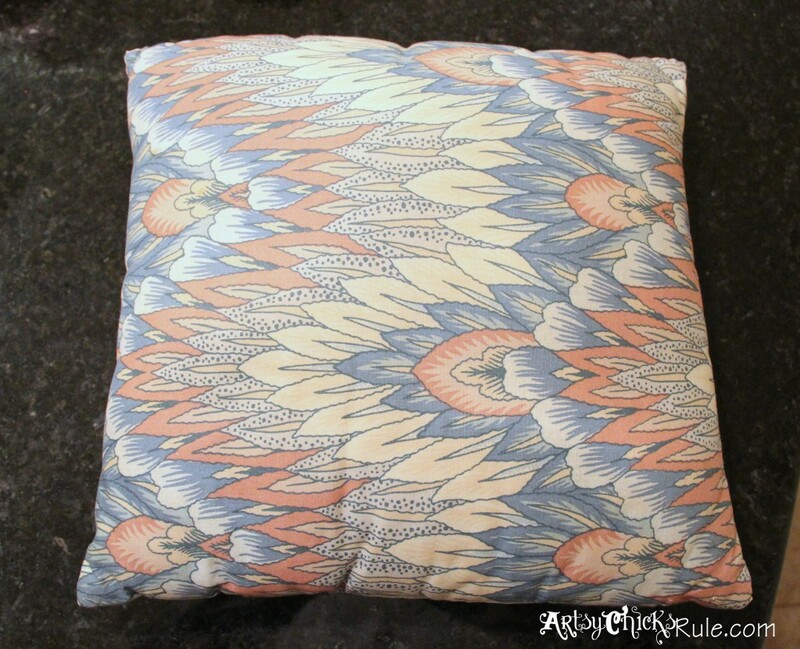 Love this pillow and especially love that it started as a thrift shop find. I am definitely going to try your technique! Aw thanks Karen!! :) It was fun to do too!! I love that the announcements said that. How cute! Nancy, I love the pillow. 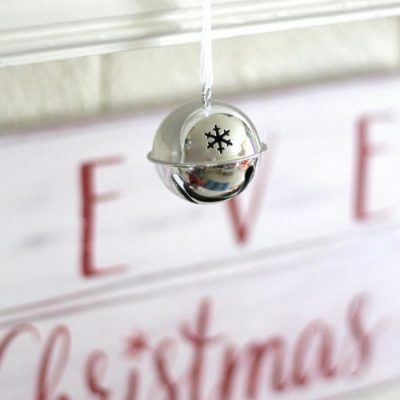 It is so simple and adorable. I hope you had a Happy Thanksgiving!! 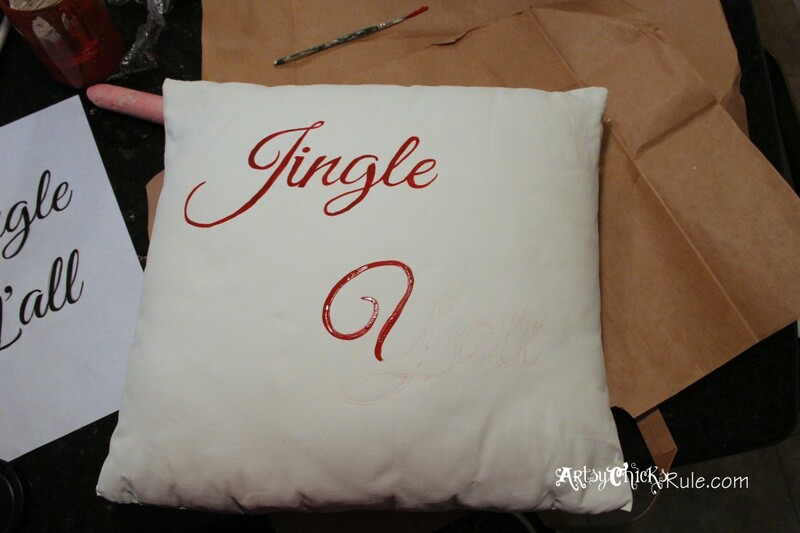 Okay I seriously LOVE that not only did you paint the lettering, but you painted the actual PILLOW!! 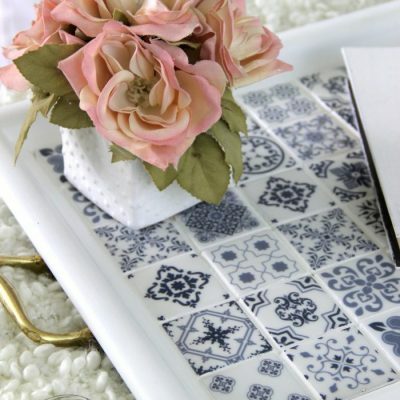 Awesome job Nancy – it looks super high end and amazing! What do yo think,you ask..Well I’ll tell ya one thing and one thing only…Martha Stewart has NOTHING over you..I’d love to be a brain fly and see how your brain works..:) You rock!! I’m definitely a “you guys” girl…Somehow I don’t thing “Jingle You Guys” has the same ring?! This turned out super-cute…looking forward to the next one! HAHAHA!!!! I LOVE it!!! That so tops mine! :) Love it….so much. Thanks so much for that !! Hi Nancy .. . . I’m a Nancy too, but not anywhere near as crafty as you. I love your pillow and even with my three thumbs, I might even try it. Probably after the holidays because I have two weeks off then. Right now, I’m running behind schedule. But you motivated me to give it a try. Hope to see your blog again. Thanks, and Merry Christmas (y’all) Not really, I live in Syracuse, NY where it would more likely be you guys. Have a Happy! Yes, do…and I’d love to hear how it goes! I think I have enough time to go shopping and get this done before Christmas!